Staff and students from the pioneering physician associate training programme at Plymouth University Peninsula Schools of Medicine and Dentistry (PUPSMD) are celebrating an important development for the profession, as the Faculty of the Royal College of Physicians launches the first Faculty of Physician Associates in the UK. The profession believes this is one more step closer to them being regulated and consequently allowed to prescribe drugs and x-rays as their counterparts do in the well-established physician associates’ profession in the USA. A physician associate (PA) is a dependent health care professional who has been trained in the medical model and works under the supervision of a doctor. PAs obtain medical histories, conduct comprehensive physical exams, request and interpret tests, diagnose and treat illnesses and injuries, and can give preventive health advice to patients. PAs have a set national curriculum which sets standards and all PAs sit a national examination prior to qualification. PAs also have to retake their national examinations every six years to ensure they remain generically trained and at a high standard. Plymouth University launched its physician associate training programme this January. The first cohort of 17 physician associate students come from a variety of backgrounds, including biomedicine, nursing, emergency medicine and other professional healthcare disciplines. 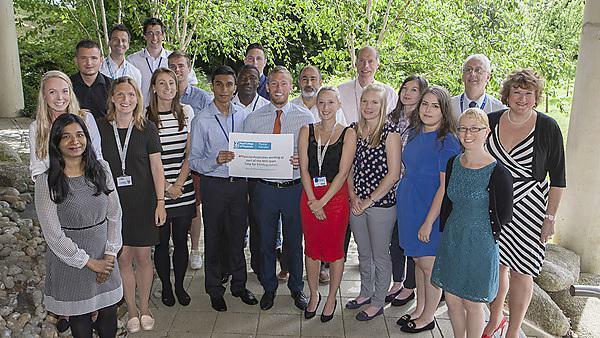 Plymouth University joined forces with NHS trusts to sponsor places for students on the physician associates course. Plymouth was the first University in the UK to secure sponsored funding of this kind for its students. Five trusts each paid for a number of student places on the course, in return for a two-year contract of employment on graduation. Every single student in the first cohort has received tuition fee sponsorship from an NHS Trust partner in the South West.